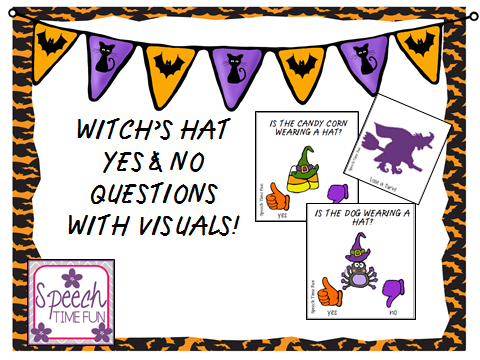 Speechie Freebies: Witch's Hat Answering Yes/No Questions with Visuals! Witch's Hat Answering Yes/No Questions with Visuals! Working on yes/no questions?! Looking for more Halloween themed activities? Like visuals and cute graphics!? Check out my newest freebie by clicking HERE!